Heron Yacht continues its developping process adding to its fleet the Heron 38 project. As per our previuos models this new yacht has been designed by the SC Superyacht Design Studio located in Rome. 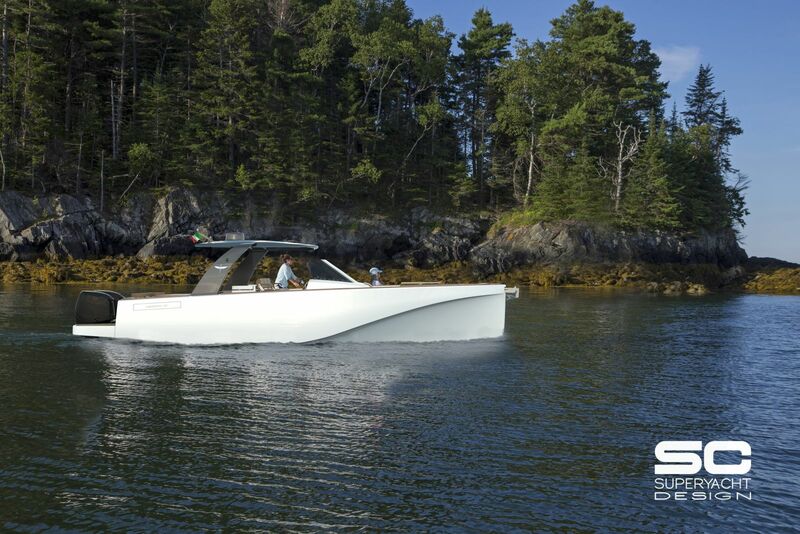 The main core of Heron 38 remains the hull, a perfect reproduction of its predecessor Heron 56’s hull, designed by the architect Massimo Picco. The bottom therefore maintains the same waterlines with completely smooth bottom surfaces, free from hydrodynamic drags, step and redan in order to significantly reduce any resistance force. Heron 38 garantees excellent navigation skills and limited consumption. 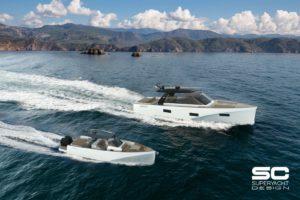 The new prototype has been conceived in two different models with the same overall dimensions, by the way whether the "Walkaround" or "Day Cruiser" version can be provided by an outboard or inboard engine. The boat has a large cockpit and a generous aft bridge. Many different solutions can be applied so that the external surfaces can be customized according to our customer request. Variuos layouts can provide different solution options. We want to please our customers providing also tailored interiors. It is possible to choose among several layouts created to correspond specific requests and needs as a double cabin and bath.